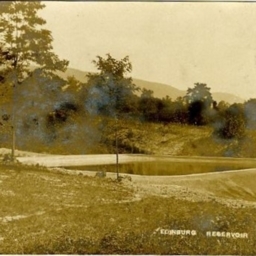 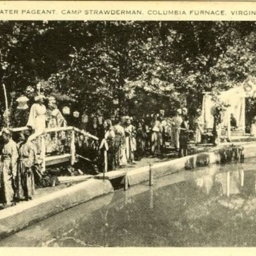 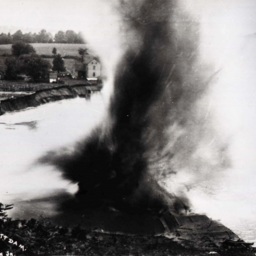 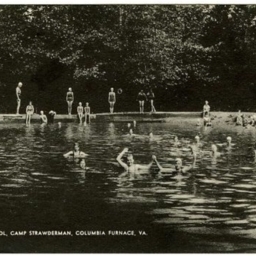 Postcard showing a photograph of the Edinburg Reservoir located west of Edinburg Virginia. 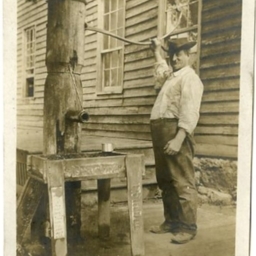 Water Wagon at Edinburg Va.
Postcard showing a picture of a man and a water pump in Edinburgh Virginia. 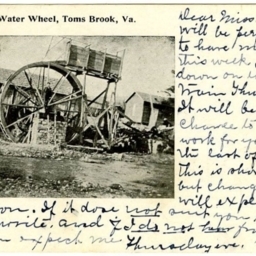 Old Water Wheel, Toms Brook, Va.
Postcard with a picture of the "Old Water Wheel" located in Toms Brook Virginia.